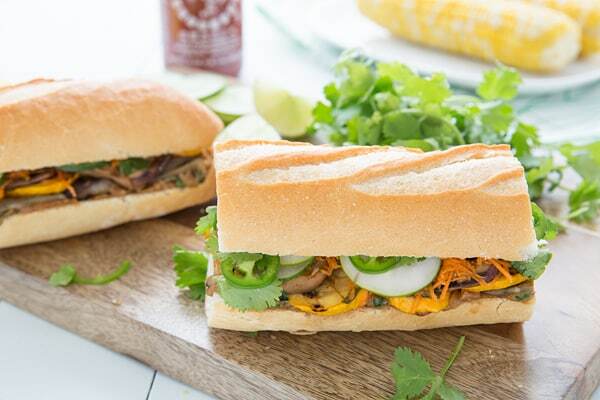 Grilled Veggie Banh Mi Sandwiches // Make sandwiches a little fancy with this Asian-inspired recipe. We used eggplant, zucchini and bell peppers, but feel free to use other grillable veggies. 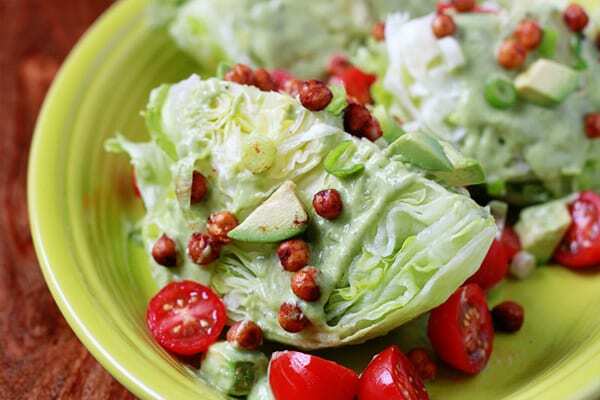 Green Goddess Wedge Salad // Yes, iceberg lettuce is relevant again! This retro-inspired salad gets extra sustenance from smoky roasted chickpeas and avocado. 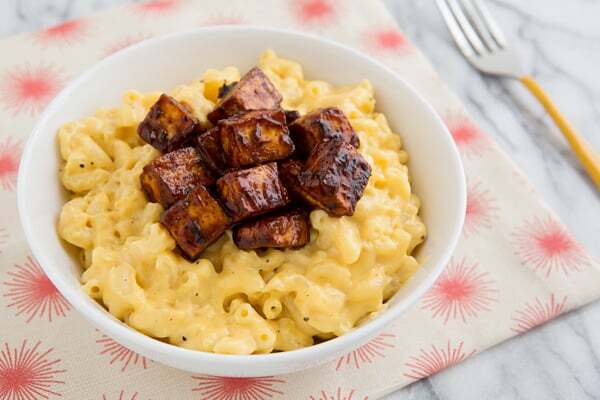 Smoked Cheddar Mac & Cheese with Baked BBQ Tofu // Smoky cheddar and BBQ tofu will scratch just about any comfort-food itch you’ve got. 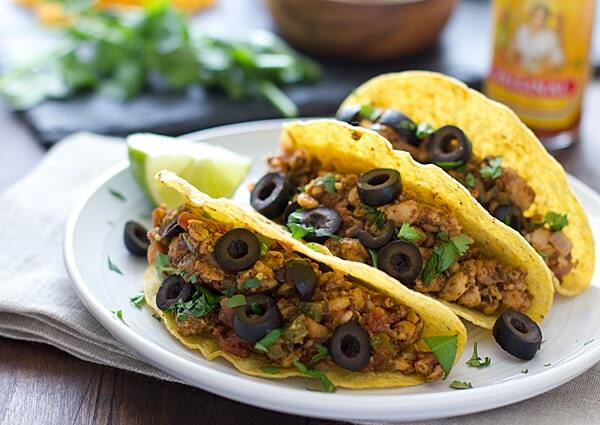 Tempeh Tacos // Crumbled tempeh has that familiar ground-beef texture without the meat. This recipe makes 6-8 tacos, so buy more ingredients (or make some sides) if you’re expecting a crowd for Taco Night. 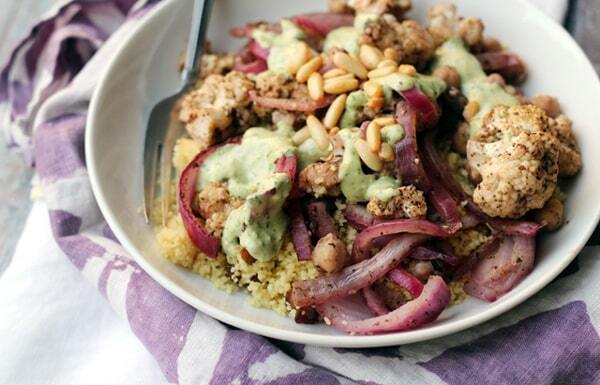 Couscous Bowls with Za’atar Chickpeas and Roasted Cauliflower // No worries if you can’t find za’atar seasoning. Simply make it yourself using this recipe—or an approximation thereof.